I’ve always loved houses that look like they could be just a little bit haunted. I love old Victorian mansions with tiny windows and turrets, and nearly wept bitter jealous tears over the one in Practical Magic. 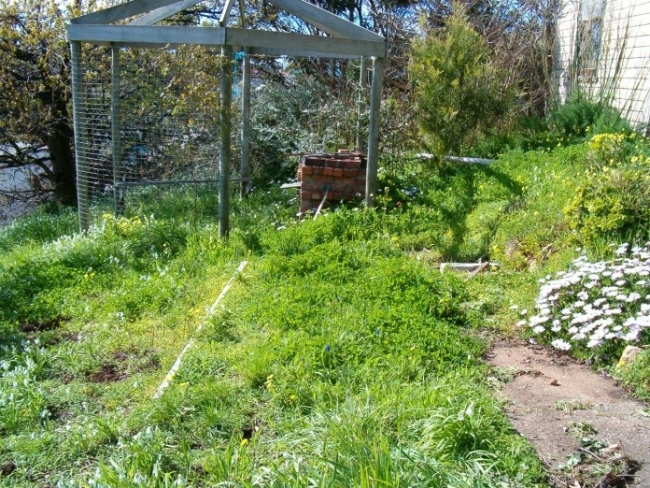 I like dilapidated Federation houses surrounded by tangled gardens that make you think a crazy person could live there. I even like new houses that look old and creepy. There’s a great house near my parents’ place that you just KNOW the owners had fun building – it looks like a castle with towers, the garden is filled with topiary in big pink pots and the wrought iron gates look like spider webs with big spiders in them. Okay, so that one just sounds funny, but I swear at night-time it gets its spook on! I’ve always loved the idea of living in a house that sends just a little bit of a shiver up your spine. 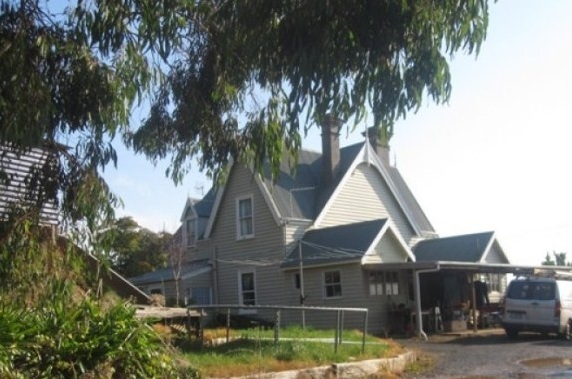 So when I first saw photos of 1886-built Trevorick House in Penguin, Tasmania, I was entranced. I was definitely not the first. Owners Janet and Brad Mears have loved the house since they were children growing up in this small seaside village, and finally made the house their own 12 years ago. 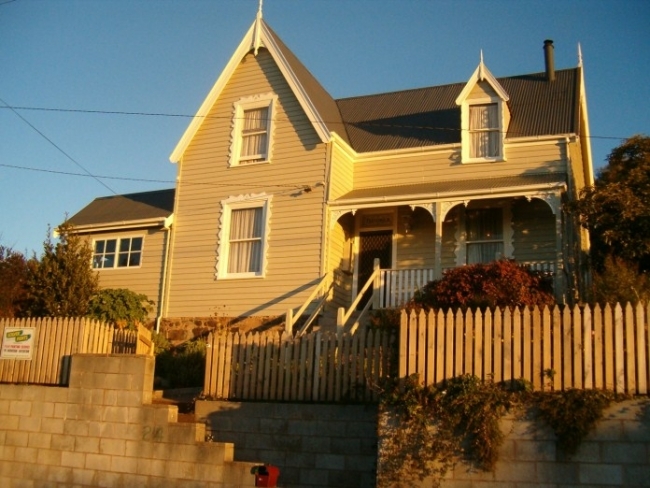 Built high on a knoll in 1886 for a local carrier, the two-storey Gothic revival style house has become a landmark in Penguin, a quaint seaside town named for the penguins that nest on its beaches. 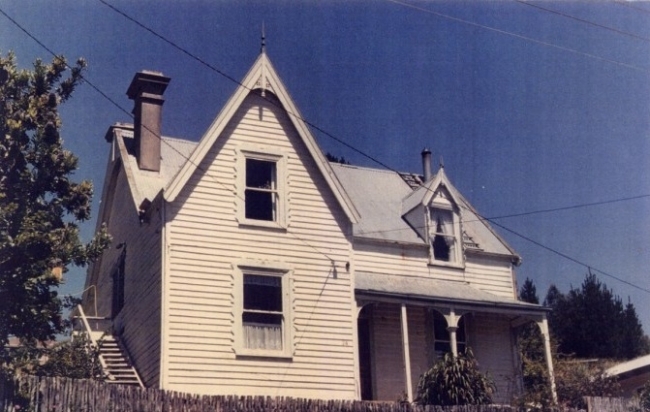 BEFORE: The house in the 80s, when it was rented out for periods before being purchased by a family in 1992, who made it their much-loved family home. 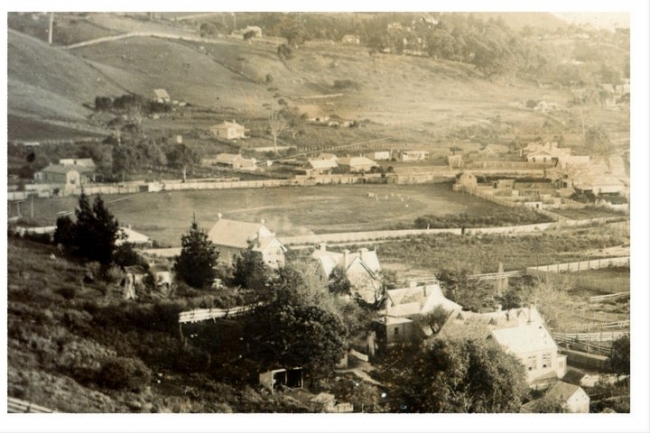 ABOVE: Trevorick House when it was built and the area used for farming - Penguin the town was started in 1875. The house is the third from the right. WAY BACK WHEN: Why are black and white photos so enchanting? A town cricket match with a team of Victorian ladies in Penguin, 1907. Trevorick House is on the right. ABOVE: The house is just moments from the beach's edge. 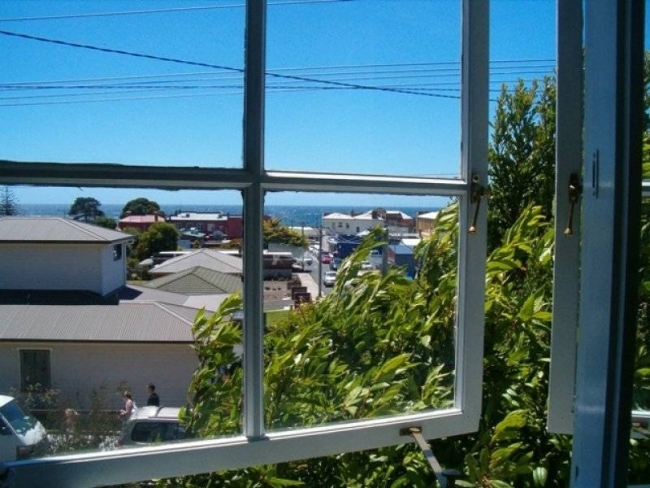 KITCHEN WINDOW: The house has lovely views across the ocean. 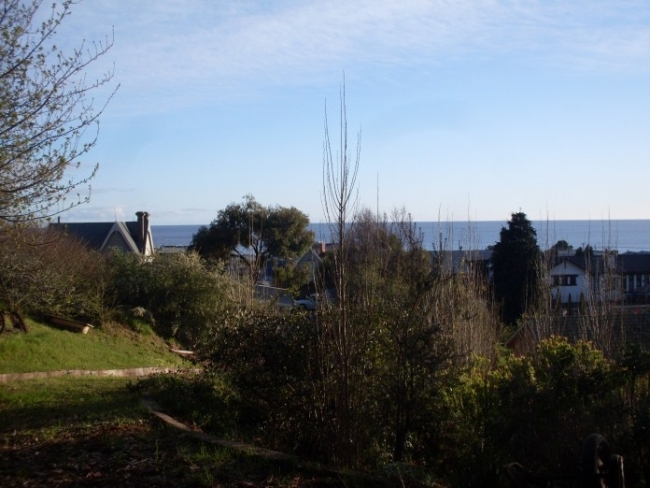 “I liked waking up to the view of the sun coming up over the water,” says Janet. THE TOWN OF PENGUIN: At first I thought Penguin sounded like a made-up town name, but the quirky Tasmanian seaside town is definitely a real place! 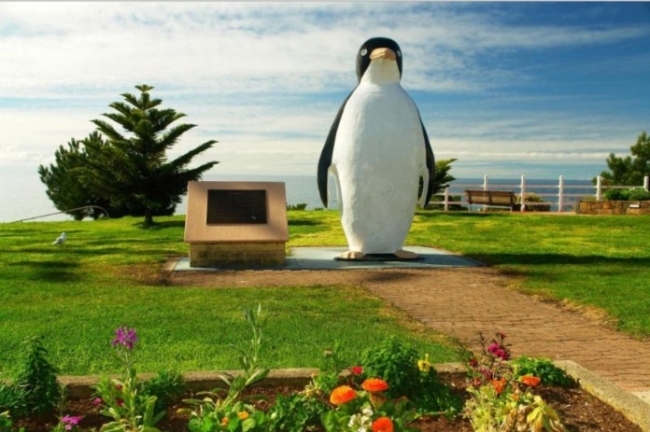 Named for the adorable penguins that nest on the beach, the town celebrated its centenary in 1975 with this giant 10-foot tall penguin statue. The town celebrates all thing penguini – penguin rubbish bins are one of the town’s many themed features. THE MEARS FAMILY: “We have a lot of fond memories of living in Trevorick House, but the house comes alive when it is filled with the laughter of children,” says Janet. Janet says they weren’t looking for a house at the time, but they saw a For Sale sign out the front in 2000 and went to just look. “As soon as we looked through we just knew that it was our new home,” says Janet. But the house needed a lot of work. 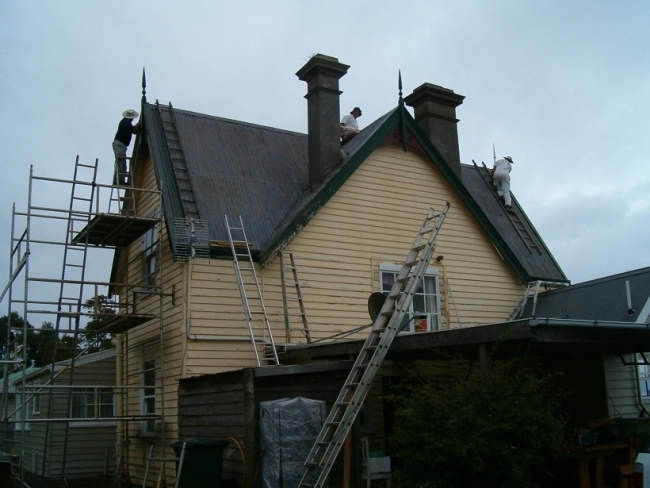 “The house was in quite poor condition and a lot of problems had been covered up,” says Janet. 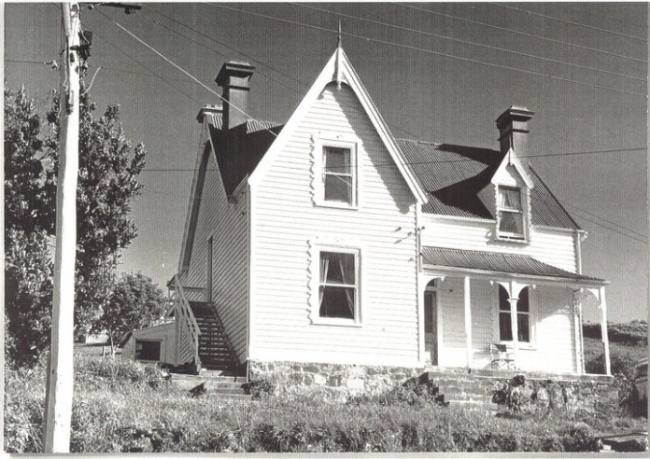 GREEN GABLES: The house in 2000, when the Mears bought it. In the 80s the house earned the nickname Green Gables by a couple called the O’Briens and the name stuck for a while. The Mears reinstated its original name with this sign below. Trevorick House’s previous owners included a man called John Owens, who bought the house in 1972 for less than $3,000. Now the house is on the market for $349,000 – and that’s below its market value! 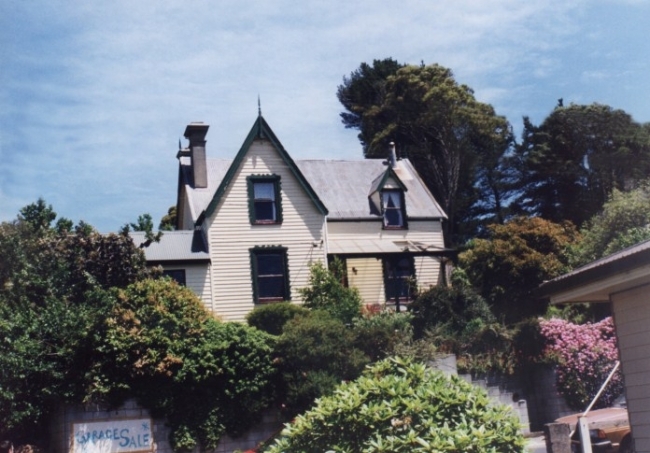 Mr Owens sold the house to his daughter Linda and his son-in-law Philip two years later. They lived upstairs while they renovated the lower floor, with one of their discoveries a Christmas tree stuffed up the chimney in the rear sitting room. Linda, and visitors who stayed, believed the house was haunted – by a little fluffy dog! 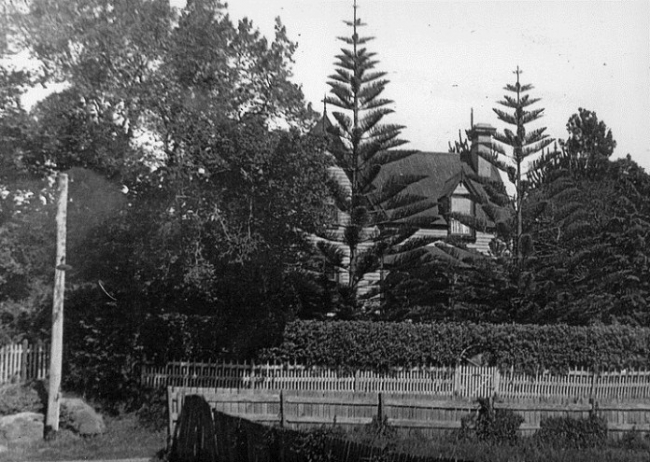 TREVORICK HOUSE IN THE 1920s: As Ms Keesing outlined in her book, there were only three lamp lights in the main street, with the gas supplied by the Methodist church, until the electricity in Penguin was switched on in 1925. BEFORE - A NEAR BUY: The house in the 70s – around the time Brad’s parents actually almost bought the house themselves in 1972. 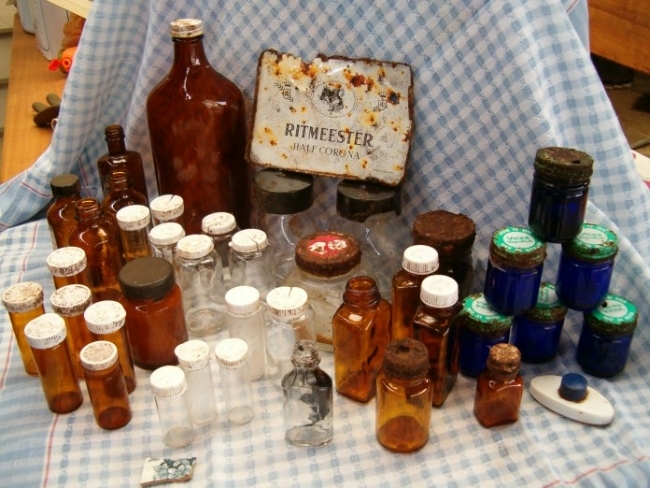 But they were deterred by the fact that it was very rundown – even back then it needed a lot of work. “Brad and some of his childhood friends thought it was spooky, they thought it looked like a haunted house you find in stories,” laughs Janet. FRONT: The house today. The Mears had it completely repainted professionally. The interiors were repainted too. “Most rooms and the hallway were completely painted out in neutral shades to replace bright pinks and greens,” says Janet. GARDENS: The Mears excavated a tree-lined bank at the back of the house to allow sunlight into the back rooms and to create a lawn area, water feature as well as a large garage and water tank. 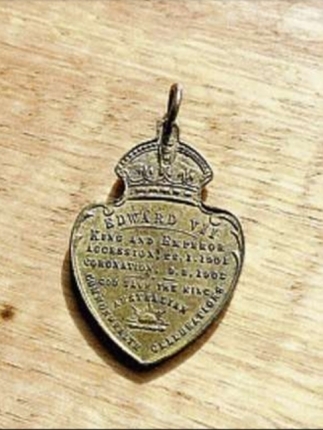 ABOVE LEFT: “One of the most interesting things I found while redoing the gardens was this medallion that commemorates the coronation of King Edward VII,” says Janet. 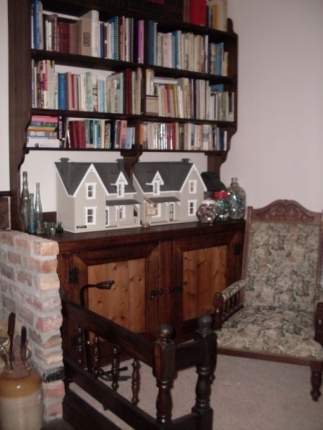 ABOVE RIGHT: The dollhouse her father made for her holds old treasures found in the gardens of the house and had pride of place in the library. 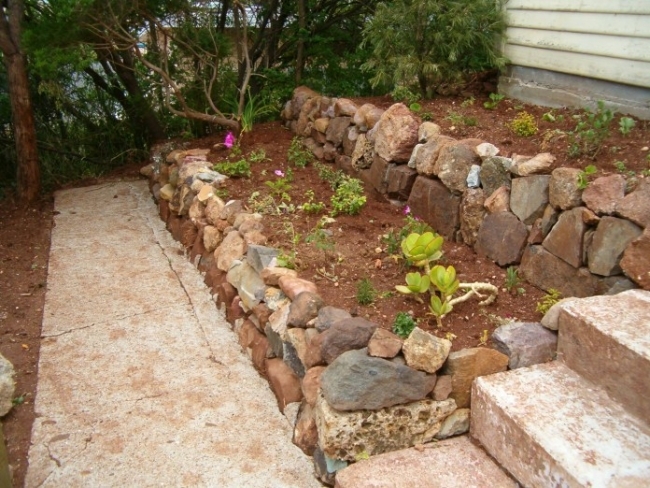 FRONT YARD BEFORE: The front garden when the Mears moved in. 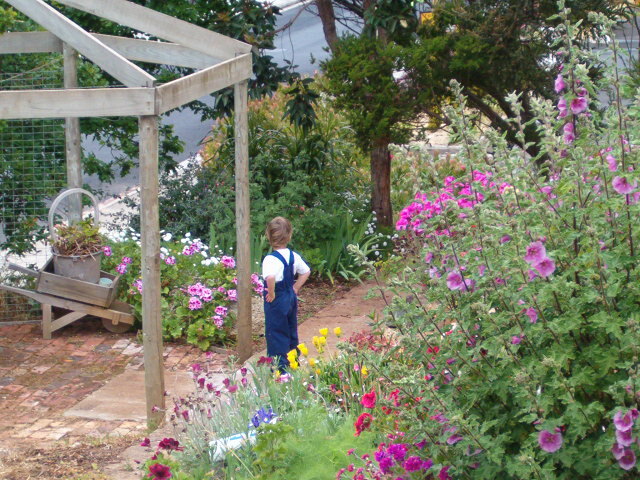 THE FRONT GARDEN AFTER: The original house was next door to the town’s old school house. “We discovered the foundation stones, front path and steps of the original school house, which once stood where the shed/cottage now stands, and we incorporated them into the front garden,” says Janet. THE FRONT GARDEN: Janet's grandson Josh playing in the front yard. Rotting studs and disintegrating joists and floorboards were a few issues the Mears fixed – they also added a laundry, a garage, a garden water feature, turned a former schoolhouse in the garden into a self-contained cottage, completely re-landscaped the gardens and upgraded the old kitchen, amongst other things, and lived there happily for years. Their son Jake grew up in the house, and the Mears frequently hosted Christmas, with family and friends coming to stay. 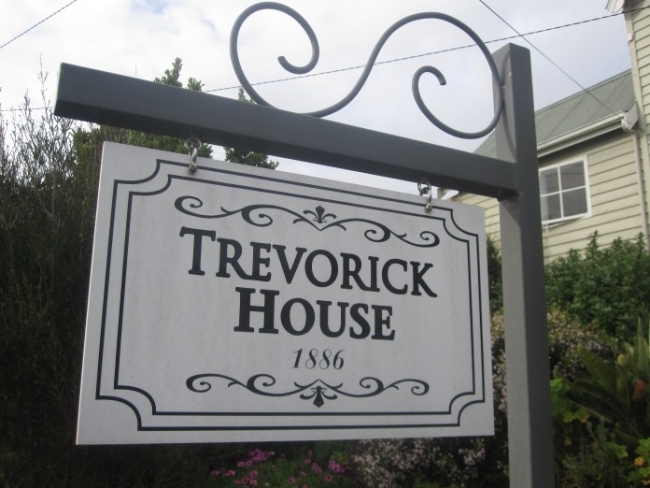 As a kid, Brad remembers going with his dad and granddad to look at buying Trevorick House in 1972, decades after the house had been purchased by the government and used as a maternity home. 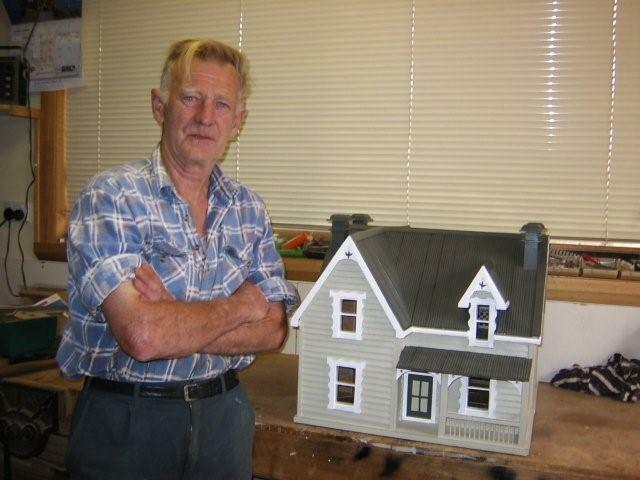 THE MINI TREVORICK HOUSE: Janet’s father Greyham Targett, pictured here, made Janet and Brad this beautiful dollhouse, an exact replica of Trevorick House, and he and Janet’s mum Elaine helped with the home and garden renovations too. “Greyham is one of those blokes who can build or fix anything and make it look damn easy!” says Brad. 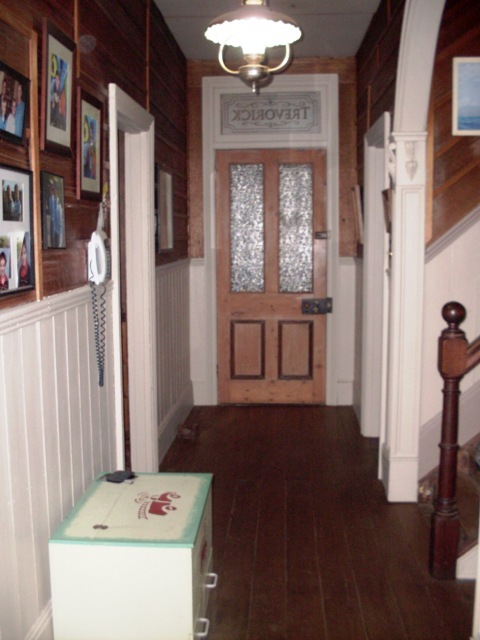 ABOVE: The home's original hallway after painting. The Mears tried to keep everything as traditional and original as possible. ABOVE: Internally, the Mears installed new floorboards to parts of the home and replaced old VJ lining with 100-year-old Baltic pine dado in the lounge. 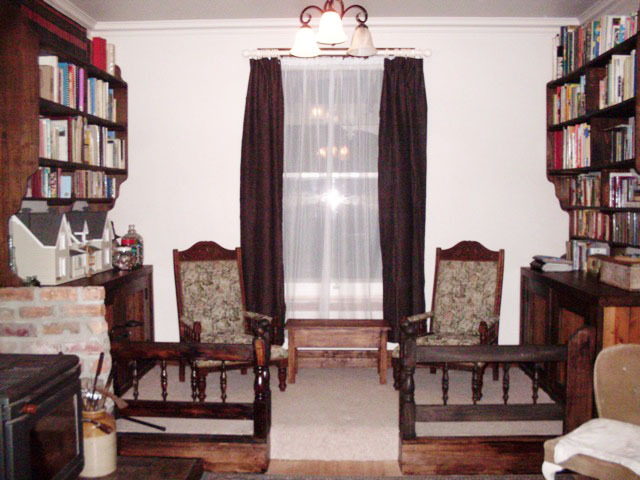 They also created a library area here with built-in bookcases. ABOVE: The house being repainted. 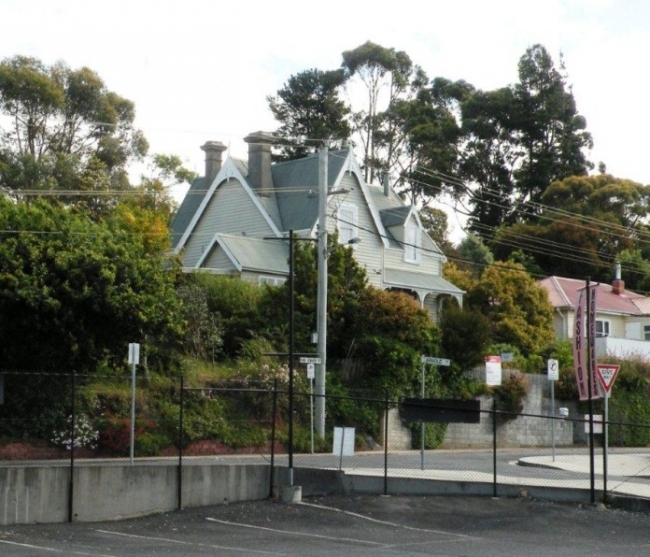 THE HOUSE ON THE KNOLL: The house sits opposite Penguin’s popular fortnightly markets and used to sit across from the old school grounds, where Janet guesses it first got its nickname as the spooky house. 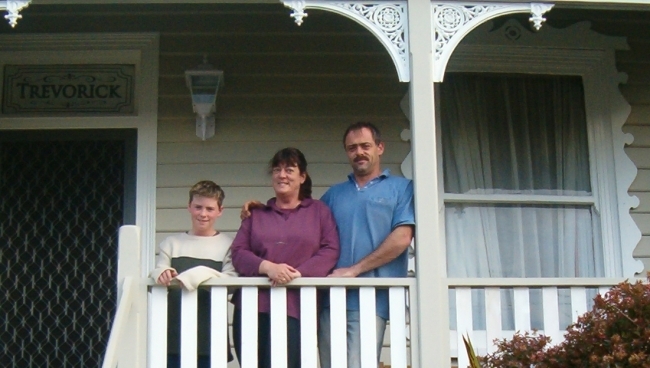 While they had planned to live in Trevorick House for the rest of their lives, the family's circumstances changed and recently Brad and Janet moved to Queensland for Brad’s work. Now their beloved house is on the market, waiting for another family to move in and continue to make it a perfect home (you can see the listing here). “We feel very privileged to have been able to live for a short time in this beautiful old house,” says Brad. Wow Maya, You have really captured just exactly what Trevorick House means to us. I really miss my home and I think I just fell in love with it again. Sometimes I feel a bit sad that it hasn’t sold but the right person just hasn’t come along yet. 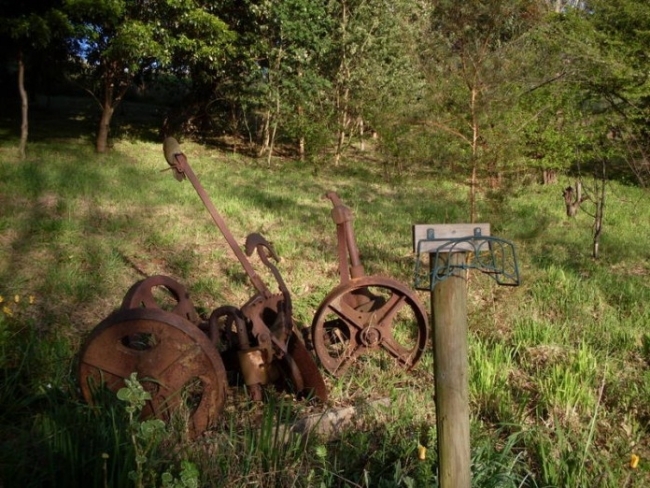 If anyone looking to buy in Tasmania read your story, I am sure that they would fall in love with it too. Thank you for writing it and thank you for House Nerd, you are keeping the dreams alive!!!!! I LOVE it! What a great story. We have always wanted to buy our neighbourhood's very own 'spooky house'..... unfortunately it has never come onto the market. But when it does! Who knows you may write a story on us one day! Looking forward to reading about more spooky houses. This is a great story!! I stumbled across it when doing a search for Janet Mears & Elaine Targett. I was their exchange student years ago & my email address book got deleted so I was looking for a way to get in touch with them. What an interesting home. It definitely has spookiness to it (my twin 9 year olds would love to have a Halloween party in it!). I love the replica that Greyham made. I bet Janet cried when he gave it to her. 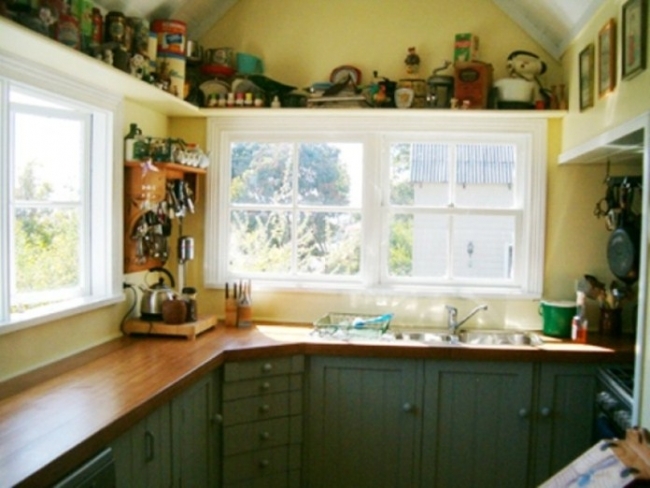 I love the kitchen! I am definitely going to share this website with others. Thanks for the great stories! 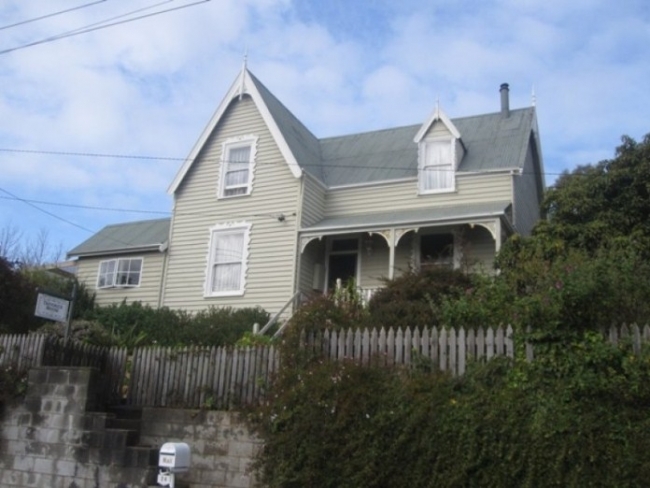 This home belonged to my great great great great grandparents Charles and Jane (nee Steele) Clarke pioneer family of Penguin. Thank you for the wonderful photos and stories. Ahhh that's so cool Kim!! That made my day. I wish I could see the home my great (x4) grandparents lived in! I'm glad you enjoyed it, I really enjoyed writing it.